BackgroundThe effectiveness of pharmacological strategies exclusively targeting secondary brain damage (SBD) following ischemic stroke, aneurysmal subarachnoid hemorrhage, aSAH, intracerebral hemorrhage (ICH), traumatic brain injury (TBI) and bacterial meningitis is unclear. This meta-analysis studied the effect of SBD targeted treatment on clinical outcome across the pathological entities.MethodsRandomized, controlled, double-blinded trials on aforementioned entities with ‘death’ as endpoint were identified. Effect sizes were analyzed and expressed as pooled risk ratio (RR) estimates with 95% confidence intervals (CI). 123 studies fulfilled the criteria, with data on 66,561 patients.ResultsIn the pooled analysis, there was a minor reduction of mortality for aSAH [RR 0.93 (95% CI:0.85–1.02)], ICH [RR 0.92 (95% CI:0.82–1.03)] and bacterial meningitis [RR 0.86 (95% CI:0.68–1.09)]. No reduction of mortality was found for ischemic stroke [RR 1.05 (95% CI:1.00–1.11)] and TBI [RR 1.03 (95% CI:0.93–1.15)]. Additional analysis of “poor outcome” as endpoint gave similar results. Subgroup analysis with respect to effector mechanisms showed a tendency towards a reduced mortality for the effector mechanism category “oxidative metabolism/stress” for aSAH with a risk ratio of 0.86 [95% CI: 0.73–1.00]. Regarding specific medications, a statistically significant reduction of mortality and poor outcome was confirmed only for nimodipine for aSAH and dexamethasone for bacterial meningitis.ConclusionsOur results show that only a few selected SBD directed medications are likely to reduce the rate of death and poor outcome following aSAH, and bacterial meningitis, while no convincing evidence could be found for the usefulness of SBD directed medications in ischemic stroke, ICH and TBI. However, a subtle effect on good or excellent outcome might remain undetected. These results should lead to a new perspective of secondary reactions following cerebral injury. These processes should not be seen as suicide mechanisms that need to be fought. They should be rather seen as well orchestrated clean-up mechanisms, which may today be somewhat too active in a few very specific constellations, such as meningitis under antibiotic treatment and aSAH after surgical or endovascular exclusion of the aneurysm.Electronic supplementary materialThe online version of this article (10.1186/s12883-017-0994-z) contains supplementary material, which is available to authorized users. As triage and resuscitation protocols evolve, it is critical to determine the major extracranial variables influencing outcome in the setting of severe head injury. We prospectively studied the outcome from severe head injury (GCS score < or = 8) in 717 cases in the Traumatic Coma Data Bank. We investigated the impact on outcome of hypotension (SBP < 90 mm Hg) and hypoxia (Pao2 < or = 60 mm Hg or apnea or cyanosis in the field) as secondary brain insults, occurring from injury through resuscitation. 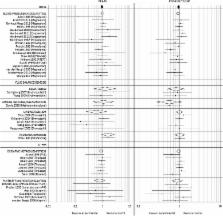 Hypoxia and hypotension were independently associated with significant increases in morbidity and mortality from severe head injury. Hypotension was profoundly detrimental, occurring in 34.6% of these patients and associated with a 150% increase in mortality. The increased morbidity and mortality related to severe trauma to an extracranial organ system appeared primarily attributable to associated hypotension. Improvements in trauma care delivery over the past decade have not markedly altered the adverse influence of hypotension. Hypoxia and hypotension are common and detrimental secondary brain insults. Hypotension, particularly, is a major determinant of outcome from severe head injury. Resuscitation protocols for brain injured patients should assiduously avoid hypovolemic shock on an absolute basis. Effect of intravenous corticosteroids on death within 14 days in 10008 adults with clinically significant head injury (MRC CRASH trial): randomised placebo-controlled trial. Corticosteroids have been used to treat head injuries for more than 30 years. In 1997, findings of a systematic review suggested that these drugs reduce risk of death by 1-2%. The CRASH trial--a multicentre international collaboration--aimed to confirm or refute such an effect by recruiting 20000 patients. In May, 2004, the data monitoring committee disclosed the unmasked results to the steering committee, which stopped recruitment. 10008 adults with head injury and a Glasgow coma score (GCS) of 14 or less within 8 h of injury were randomly allocated 48 h infusion of corticosteroids (methylprednisolone) or placebo. Primary outcomes were death within 2 weeks of injury and death or disability at 6 months. Prespecified subgroup analyses were based on injury severity (GCS) at randomisation and on time from injury to randomisation. Analysis was by intention to treat. Effects on outcomes within 2 weeks of randomisation are presented in this report. This study is registered as an International Standard Randomised Controlled Trial, number ISRCTN74459797. Compared with placebo, the risk of death from all causes within 2 weeks was higher in the group allocated corticosteroids (1052 [21.1%] vs 893 [17.9%] deaths; relative risk 1.18 [95% CI 1.09-1.27]; p=0.0001). The relative increase in deaths due to corticosteroids did not differ by injury severity (p=0.22) or time since injury (p=0.05). Our results show there is no reduction in mortality with methylprednisolone in the 2 weeks after head injury. The cause of the rise in risk of death within 2 weeks is unclear. Cerebral vasospasm after subarachnoid hemorrhage: the emerging revolution. Cerebral vasospasm is the classic cause of delayed neurological deterioration after aneurysmal subarachnoid hemorrhage, leading to cerebral ischemia and infarction, and thus to poor outcome and occasionally death. Advances in diagnosis and treatment-principally the use of nimodipine, intensive care management, hemodynamic manipulations and endovascular neuroradiology procedures-have improved the prospects for these patients, but outcomes remain disappointing. Recent clinical trials have demonstrated marked prevention of vasospasm with the endothelin receptor antagonist clazosentan, yet patient outcome was not improved. This Review considers possible explanations for this result and proposes alternative causes of neurological deterioration and poor outcome after subarachnoid hemorrhage, including delayed effects of global cerebral ischemia, thromboembolism, microcirculatory dysfunction and cortical spreading depression. Cerebral vasospasm after aneurysmal subarachnoid hemorrhage and traumatic brain injury. Traumatic subarachnoid hemorrhage: demographic and clinical study of 750 patients from the European brain injury consortium survey of head injuries.